Tonight, Asmik Grigorian makes her house debut at the Gran Teatre del Liceu in Rubenstein’s The Demon, alongside Alexander Tsymbalyuk and conducted by Mikhail Tatarnikov. This highly anticipated new production by Dmitry Bertman marks the first time Rubenstein’s opera has been presented in Barcelona. This continues a busy season for all three artists. Asmik has just completed several performances of The Gambler with Theater Basel, and of Wozzeck with the Norske Opera and at the Salzburg Festival. Future engagements this season for the soprano include a return to the Salzburg Festival as the title role in Romeo Castellucci’s Salome, Chrysothemis in Elektra at the Concertgebouw, Amsterdam, and the title role in Iolanta at the Franfurt Opera. Asmik will make her debut at the Teatro alla Scala, Milan in 2019. 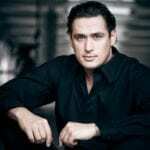 Alexander returns to Paris later this season to perform in Theatre des Champs-Elysée in two concert performances of Saint-Saëns Samson and Delilah under Nicholas Carter, and will return to the role of Fafner in Wagner’s Das Rheingold alongside Dame Sarah Connolly and Sophie Bevan at the Teatro Real, Madrid. 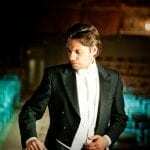 Mikhail’s recent engagements have included a UK tour with the Bournemouth Symphony Orchestra, plus performances in Dublin, and later this season will see a performance at the Opéra Monte Carlo where he will conduct an evening of Russian Opera Highlights with the Orchestre Philharmonique de Radio France. The Demon begins on 23 April will have seven performances, finishing on 11 May. For more information, visit the Liceu Barcelona website.